By the time he reached adolescence, Robert knew his destiny was to be a jazz musician. He was accepted to the Houston's famed High School for the Performing Arts (Jason Moran went there before me.). 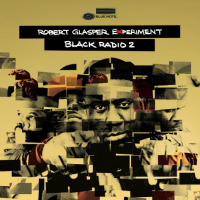 Post-graduation, Glasper enrolled at New School University in Manhattan. Soon after arrival, he hooked up with future bandmember Reid and vocalist Bilal, an old schoolmate. As an undergrad, Glasper gigged with Christian McBride, Russell Malone and Kenny Garrett. Professional life after the New School was even sweeter: stints with Nicholas Payton, Roy Hargrove, Terence Blanchard, Carmen Lundy, and Carly Simon. The Bilal connection brought the pianist back to hip-hop. 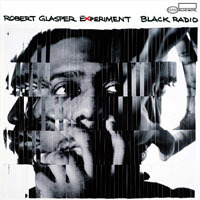 Glasper's contributions to Bilal's debut and subsequent tour brought him to the attention of Q-Tip (A Tribe Called Quest). Tip would come hang out at my shows, and one day he called me and said, ‘I'm doing this tour and I need you to play keys. Can you do it?’” He's also since played with Mos Def, and is featured prominently on Bilal's forthcoming sophomore release. All About Jazz musician pages are maintained by musicians, publicists and trusted members like you. Interested? 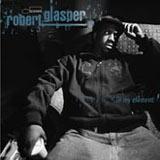 Tell us why you would like to improve the Robert Glasper musician page.